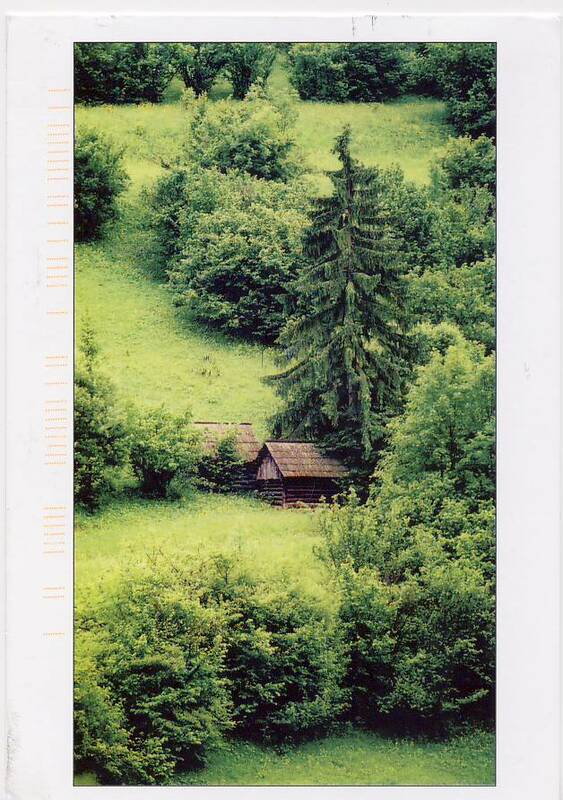 This card comes from Slovakia and my postcrosser tells me the image is of two haylofts in the countryside. I also learned that the sergeant in charge of the famous moment in Iwo Jima with the soldiers raising the flag was actually Slovakian! He was mostly raised in America when his family emigrated, but his heritage is Slovakian. Sgt. Michael Strank. 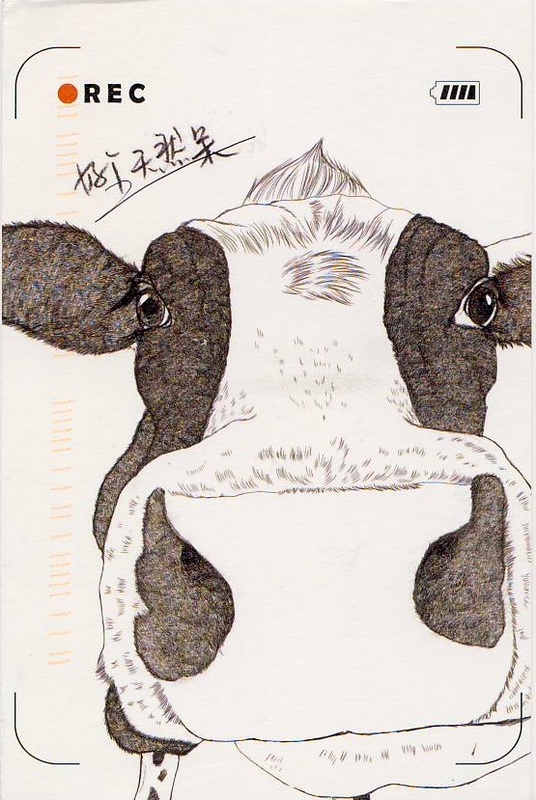 This card comes from China and little did the sender know, I adore cows. Sent with a bit of Wordsworth poetry on the back. It’s almost as though they know me! This is just an absolutely beautiful image to me. 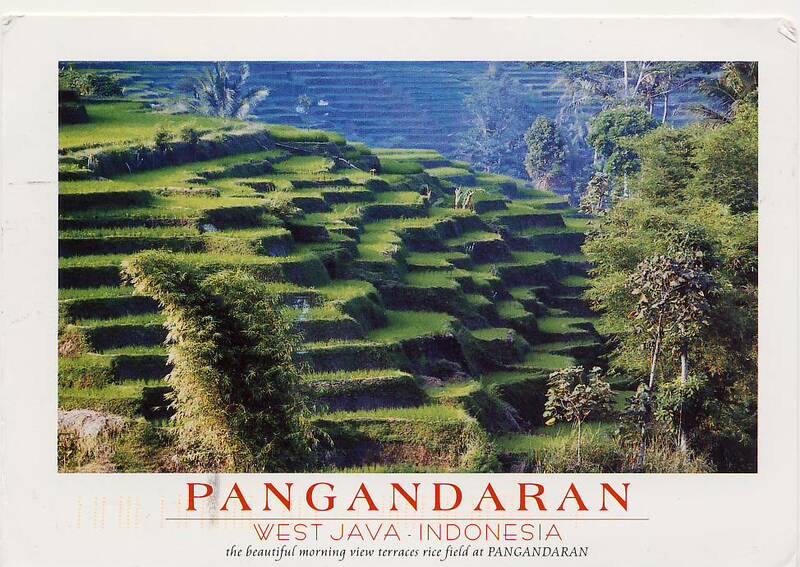 I love the terraced rice fields and it makes me want to go and sit in the sunlight and simply be. I want to smell the wind and hear it through the trees. I want to feel the dampness of the air (or at least with all that water I imagine it to be damp). 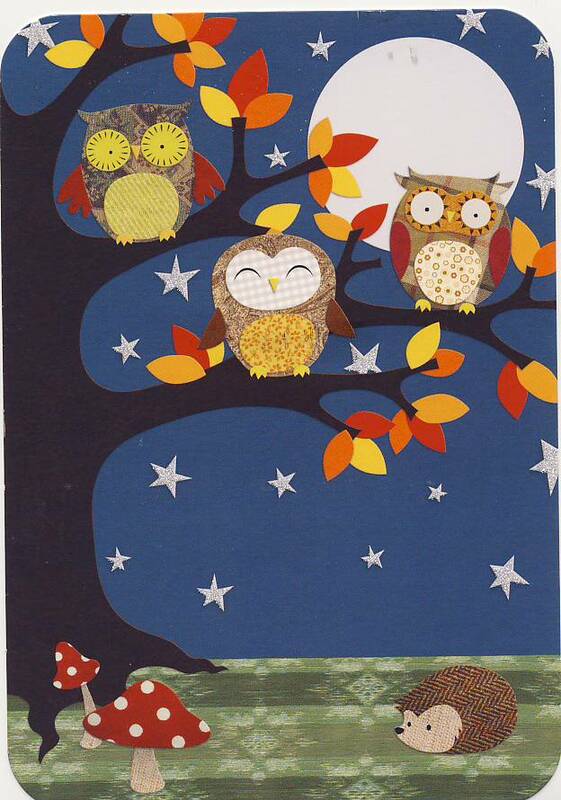 Now for another favorite animal… Owls! Now for my personal favorite of the bunch, from Taiwan. 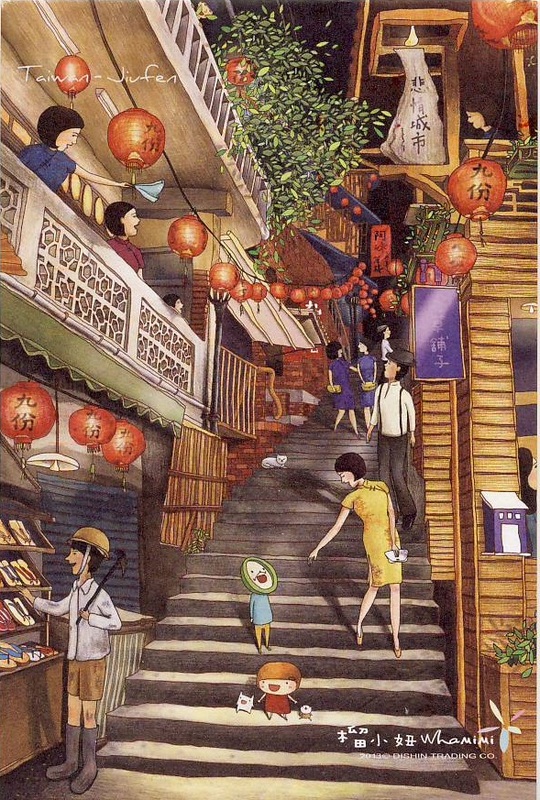 The card and my postcrosser tell me the illustration is of the town Jiufen. I am completely enamored by all of the detail and I would love to see more work by this artist. The style suits me well. What grabs me most might be the detail your eye may go to quickest: the little boy with the clock for his face. He looks happy to me, but there is so much to say about the passage of time. Ah well, the poet in me wants to write for him. Finally, a card that is just a bit of fun. 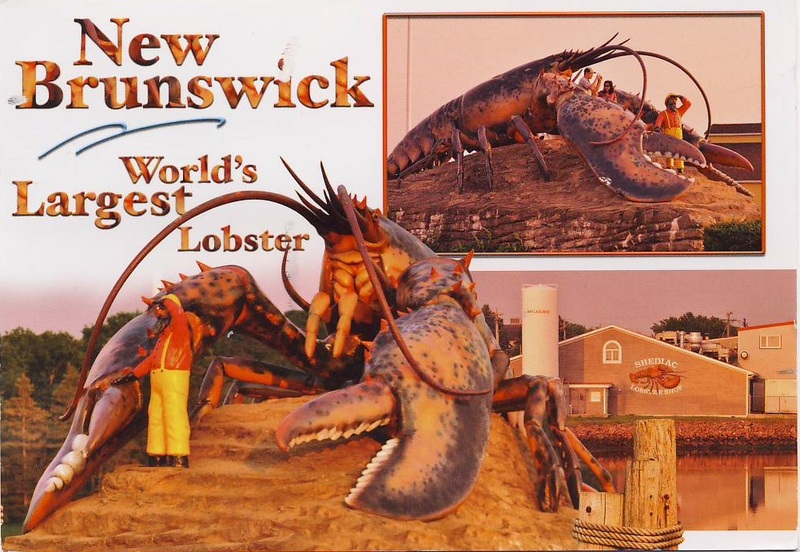 This card hails from Canada. You all know my favorite card from this bunch, but what’s your pick?